A year on from the SX10 IS, the new SX20 model adds a couple of key improvements to an already appealing design, but doesn't quite offer enough to take the super-zoom crown. 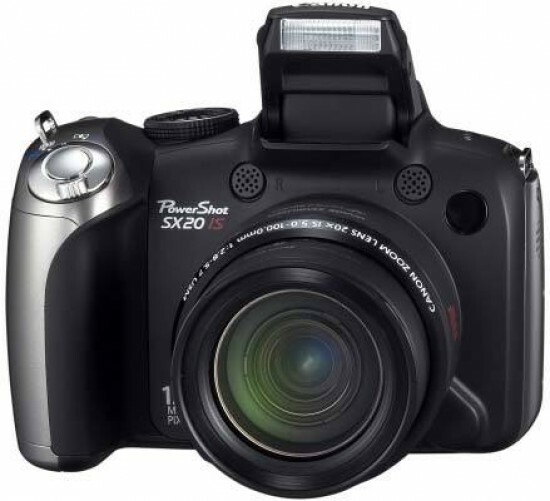 The SX20 IS is virtually identical to its predecessor, with the only major additions being the new HD movie recording and an "upgrade" to 12 megapixels. The former is successful, the latter less so. Being able to shoot high-definition video with stereo sound and the ability to make full use of the 20x zoom is a real attraction and something that not many other cameras currently offer. Unfortunately the story isn't so rosy with regards to still images, with noise and loss of fine detail first appearing at ISO 400 rather than ISO 800 as on the SX10. It seems that the move to more megapixels has compromised the overall image quality at higher ISO speeds, limiting this camera's ability in low-light environments. Other key features have been sensibly retained - the tilt-and-swivel LCD, dedicated record button for instant video clips, clear electronic viewfinder and external hotshoe all makes this an appealing digicam for the keen hobbyist, especially with a full range of manual shooting modes on offer. The only fly in the ointment is the continued absence of a RAW file format, pushing would-be buyers to the G11, currently the only Canon compact that offers RAW shooting. Several rival super-zoom cameras also support RAW, most notably the Panasonic FZ38 and Olympus SP-570 UZ, so there are other alternatives in the same category if this is a must-have feature. Despite the less than stellar still images, lack of RAW, slight price increase and few real upgrades over the previous model, the Canon PowerShot SX20 IS remains a likeable and easy-to-use camera. It's still a solid and reliable option for both the uninitiated moving up to a bridge model for the first time, and those stepping down momentarily from a DSLR who are looking for a model as a back up, or perhaps to supplement their existing lens range, but in a more portable and user-friendly format.